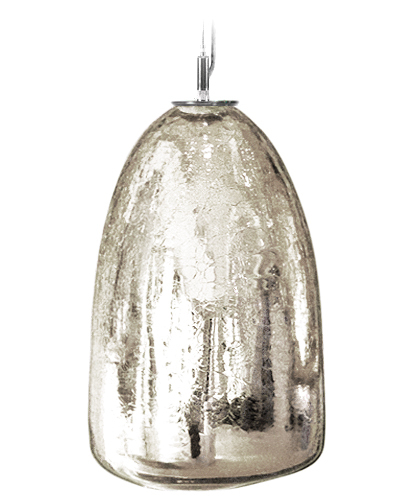 Capturing a distinctive joie de vivre, each Summit pendant light in our Charmed Collection features crackled glass and a mirrored interior, which beautifully reflects its tinted surroundings through the lens of its colored-glass exterior. Choose from an exquisite selection of jewel tones as you become memorized by the suave demeanor of these glass pendant lights. We welcome you to contact us for pricing or additional information.